Lift (for Faith) which expanded into In the Space of a Day are part of Triple Point, my newest body of work. With these works, the artist wants to pay homage to ideas that uplift the human spirit and have the ability to affect change in positive ways within our environments and communities. Both works are meant to encompass the viewer and allow them time and space to be fully invested in them. Benches and chairs are a part of the installation, inviting the viewer to rest as well. 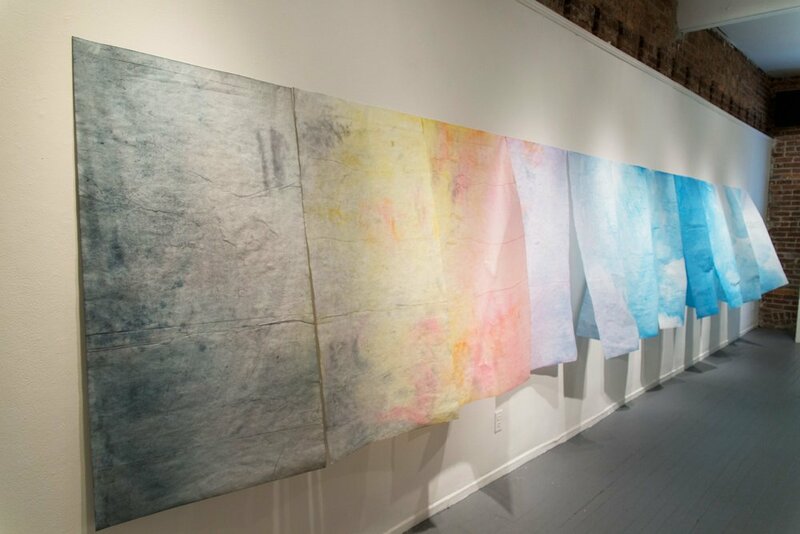 Watercolor and sometimes even solid water (ice and snow) were used to create the works on rice paper. 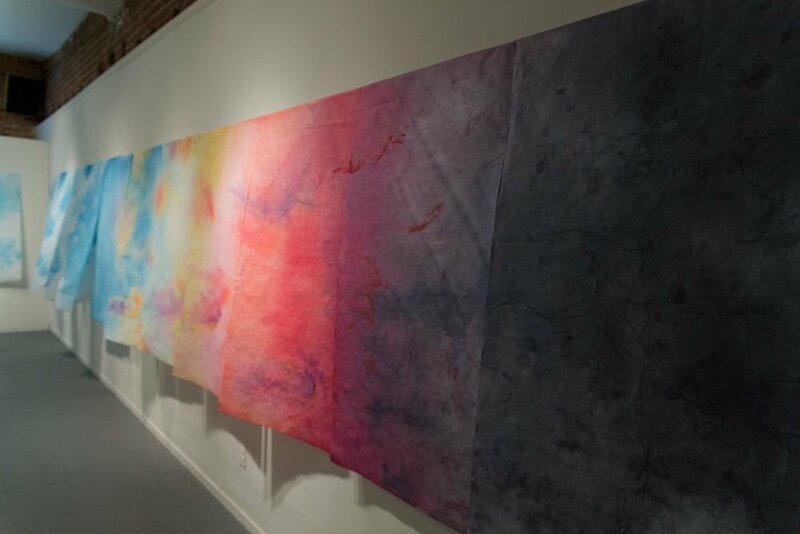 These installations encourage the viewers to let go of solid ground and revelling in the moment by contemplating large watercolors representing clouds slowly moving to the hum of a gentle (artificial) wind and the movements of other viewers.